The International Committee of the Red Cross (ICRC) on Wednesday warned of a total collapse of the health situation of kidney failure patients in Yemen. The warning came during a press conference held by the organization in , Aden , the Yemeni city under UAE control for since two years, in cooperation with the Yemeni Ministry of Health. “The health situation of patients with kidney failure is on the verge of collapse” it said. The head of the ICRC Delegation in Aden, Carlos Batallas said on the sidelines of the conference that 25 percent of kidney failure patients in Yemen die every year due to lack of treatment, as well as the deterioration of the general health situation in the country. “We were keen to hold a press conference to highlight the suffering of patients with kidney failure, and to mobilize support at the local and international levels to save what can be saved” he said, adding that thousands of Yemenis could face death, unless the country’s 32 dialysis centres received support. According to the official, the organization currently supports 5 dialysis centres in the governorates of Sana’a, Mahweet, Hajjah, Aden and Shabwa, however this support will end in December. 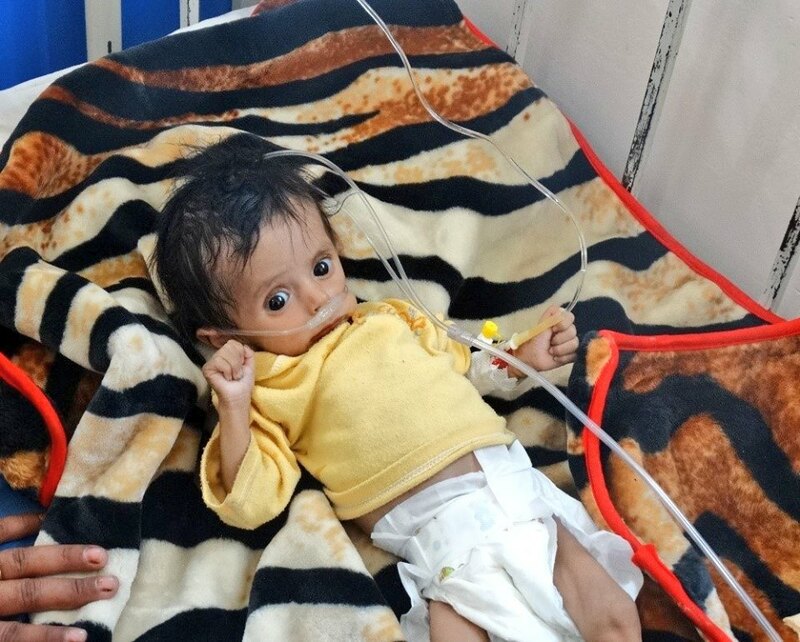 Previous statistics from the Yemeni Ministry of Health indicates that nearly 5,000 people suffer from kidney failure and that one third of them lacks access to health care due to the war on the country. Four out of the country’s 32 dialysis centres have shut down while the remaining 28 suffer problems in providing services due to lack of equipments and not paying the workers’ wages. In March 2015, Saudi Arabia and a coalition of its regional allies — mainly the united Arab Emirates and Jordan — started a war against Yemen with the declared aim of crushing the Houthi Ansarullah movement, who had taken over from the staunch Riyadh ally and fugitive former president Abd Rabbuh Mansur Hadi, while also seeking to secure the Saudi border with its southern neighbor. Three years and over 600,000 dead and injured Yemeni people later, the war has yielded little to that effect. Almost everything is a target in Yemen, including service facilities, whereas the most recent statistics report the bombing of 903 mosques, 309 hospitals and health centers, 869 institutions and schools, 141 university facilities, 264 tourism facilities, 112 sports facilities, 35 media establishments, 216 archeological sites and finally, while imposing a fatal siege on Yemen, 2,654 agricultural fields targeted.